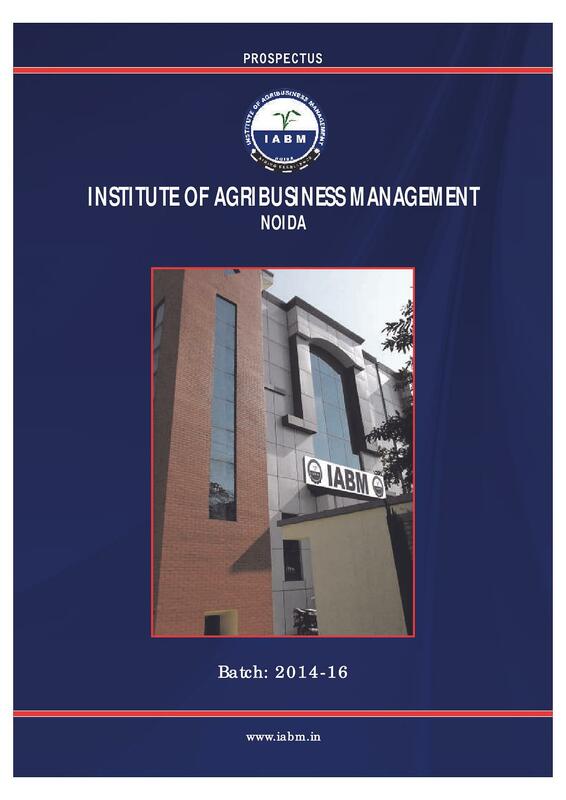 Established in the year 2007, Institute of Agribusiness Management - [IABM], Noida, Uttar Pradesh is the one and only institute in the NCR region that offers granting Masters in Agribusiness Management and certified with ISO 9001 quality certification. The college offers full-time professional and career oriented program with duration of 2 years. Students are offered world class facilities, which help them groom. The objective of the institute is to bridge the gap of knowledge by serving the industry in area that are challenging. 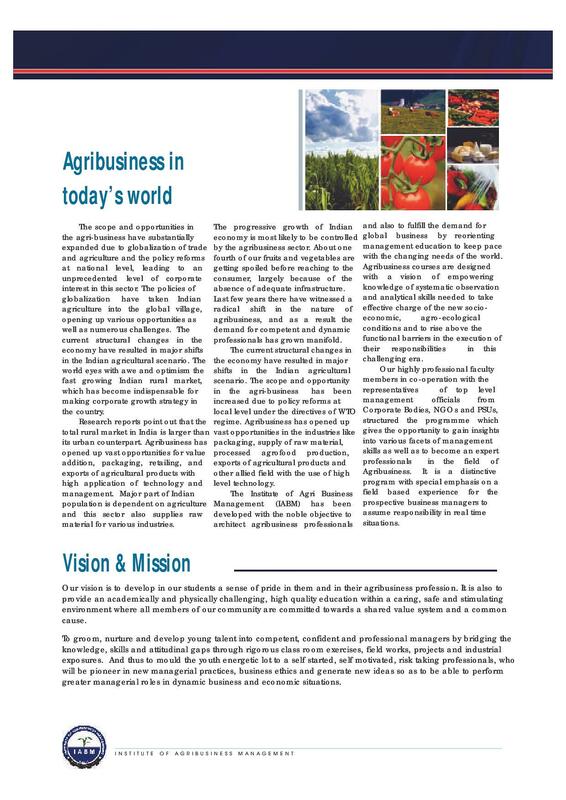 Agribusiness industry with reputed corporate are patrons of the institute and have co-promoted it. Offering a fully job oriented course; the institute has several renowned guests as its visiting facilities. The board of the institute comprises top experts and industry CEOs. 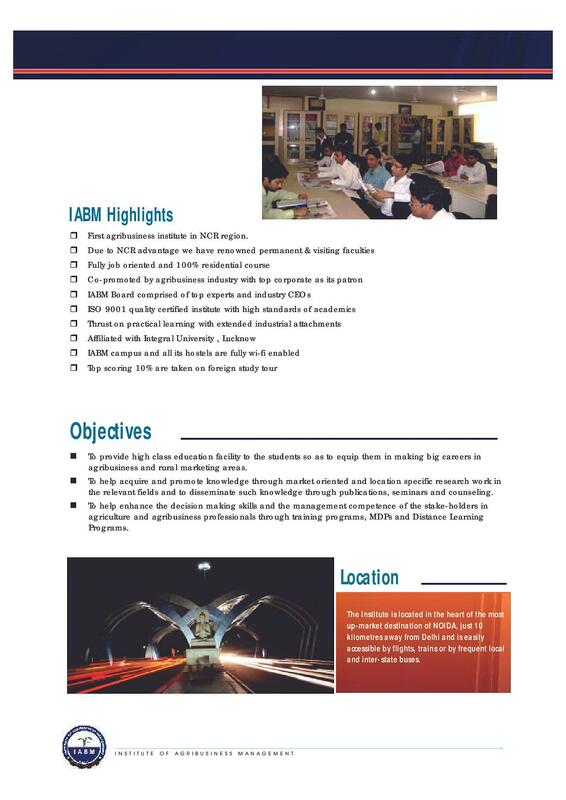 The institute focuses on practical learning and offers extended industrial attachments. The campus of the institute and even the hostels are wi-fi enabled. 1. Unique features of the course –The course is such designed that students come in contact with industrial people. 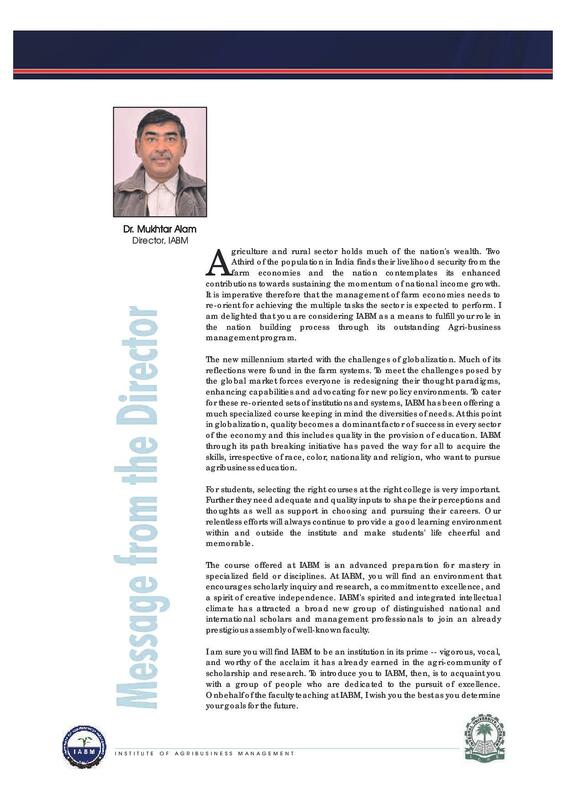 The board of the institute comprises reputed professionals of top agribusiness industry. Further, the institute makes sure that students get to visit factories as industrial visits. Senior executive from the industries are invited for interaction. The industry has maintained a track record of inviting largest number of industry professionals as visitors. 2. Career Opportunities –The institute offers courses that make students employable in agribusiness management, an emerging sector. 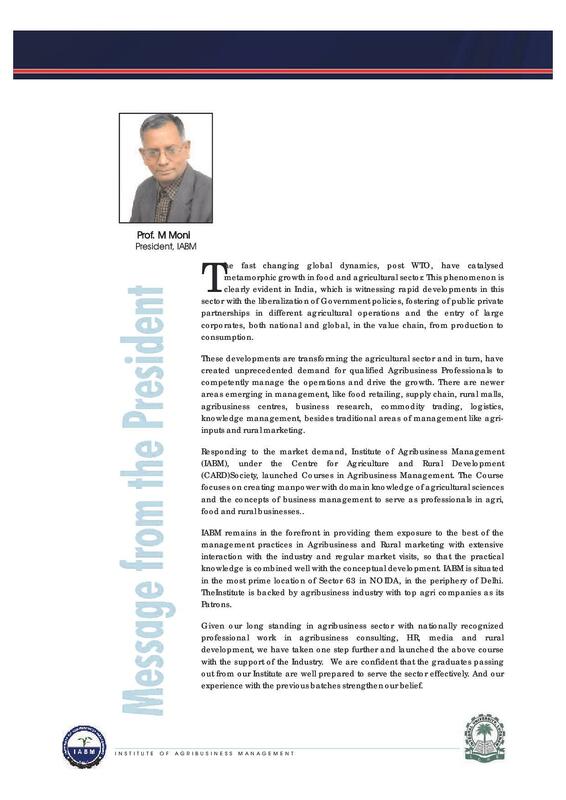 The demand of the professionals who can work in agri-inputs, KPOs, rural retailing, NGOs, international trade, food processing, rural credit, insurance, micro financing, warehousing, rural marketing and others is on the rise. 3. Accessible Location –The institute is situated at an enviable location in the heart of Noida. Located at a distance of just 10 kilometers from New delhi, the institute can be accessed by train, local or inter-state buses. Students can even access malls, trade centers and other markets to meet their daily needs.